Are your mornings rushed and you sometimes forget to grab a cup of coffee nevertheless something to eat? 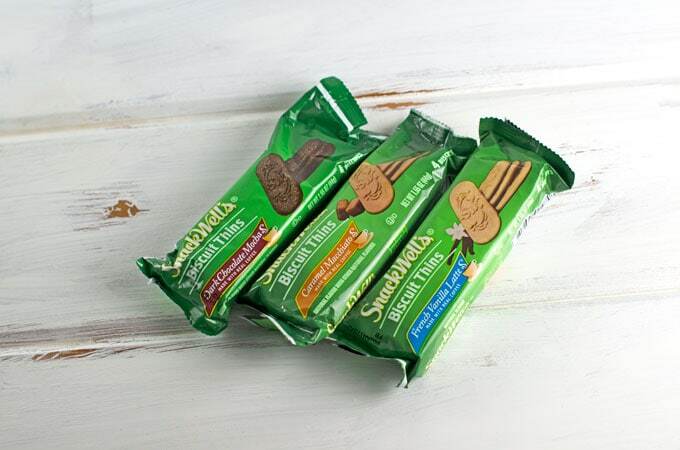 Check out our SnackWell’s Biscuit Thins review to see how you can have the best of both worlds. As I’ve shared many times, I’m just not a morning person. At all. Not even a little bit. With that said, I often start the day with coffee but take so long to really wake up that I don’t even feel like brewing a pot of coffee. That’s why I thought SnackWell’s Biscuit Thins were pretty clever because you can eat your coffee…which is probably good for me, too, because I often skip breakfast. I remember the SnackWell’s brand really catching on in the 90’s when everyone was trying to eat better. As such, I was really curious to review the SnackWell’s Biscuit Thins to see if they were any good. What Are SnackWell’s Biscuit Thins? SnackWell’s Biscuit Thins are similar to a cookie with a good source of protein and fiber while also being made with real coffee. They come in 3 flavors: Caramel Macchiato, French Vanilla, and Dark Chocolate Mocha. Each box contains 5 packs of biscuits which has 4 biscuit thins per pack. Each box cost just under $3 each (as of July 2016) at my local Yorktown, VA Walmart. 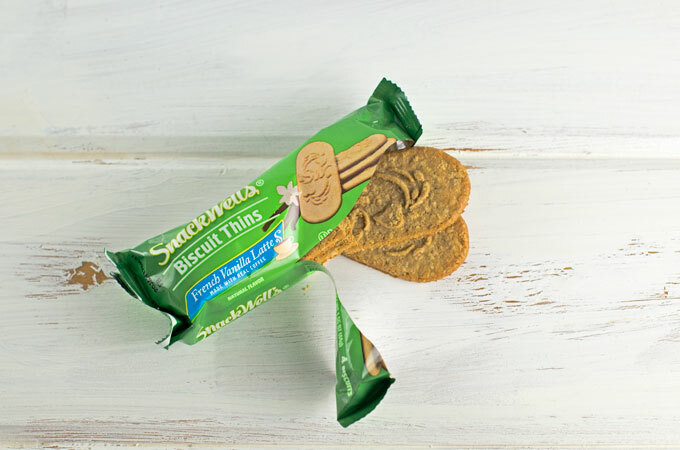 You can also get this $1 off 1 box of SnackWell’s Biscuit Thins coupon to save even more! What Makes SnackWell’s Biscuit Thins Different? I’ll admit that I’m not a morning person. I’m so glad we live in the days of smartphones and laptops so I can work from bed for an hour or so while I go through the process of waking up. While I love the zip of coffee first thing in the morning, a lot of times I don’t have the time to make a cup, nevertheless to get something together to eat. So, I thought that the SnackWell’s Biscuits Thins were such a clever food product. While I really love both chocolate and vanilla flavors, the caramel macchiato just barely won out to be my favorite flavor. The flavor of the biscuits are rather good and I definitely find that the coffee flavor really stands out, which I don’t consider to be a bad thing. They are on the very crisp side, but not so hard that you have trouble biting them nor feel like you’re going to break a tooth doing so. I also like that they are on the thin side so that you have 4 biscuits to eat so it feels like you are eating more (or can share). I did find the biscuits to be a bit on the dry side so I do recommend having something to drink with them. 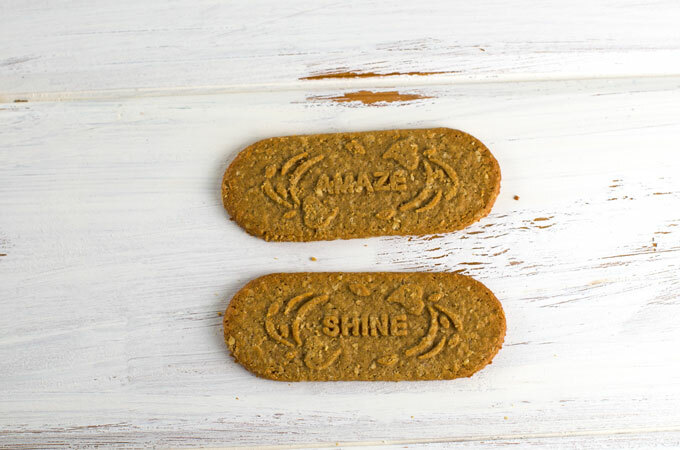 One of my favorite parts of the biscuit thins is that each biscuit has an inspirational word imprinted on it to help keep you motivated throughout the day. 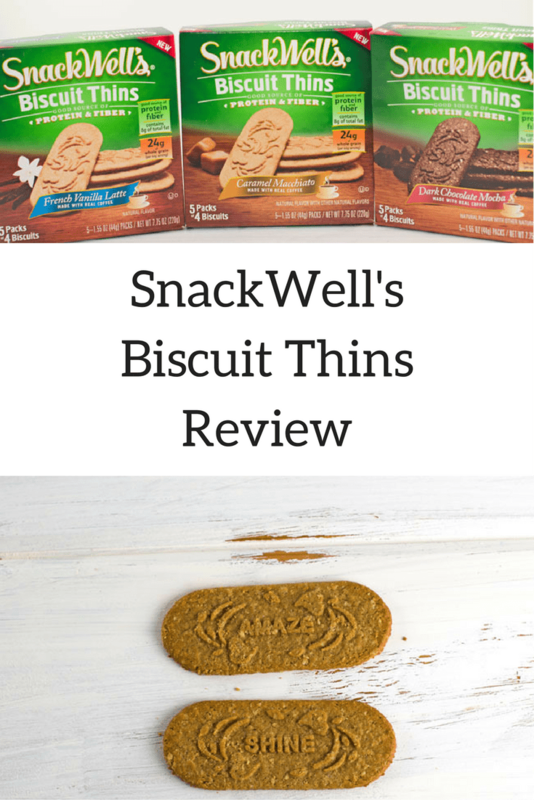 Overall, I’ve really enjoyed trying out the SnackWell’s Biscuit Thins and think that fellow coffee lovers will really like them. I’m definitely going to keep some in the pantry and my purse for those super busy mornings where I really needed something to eat 10 minutes ago. I never thought to crumble up min into yogurt, that’s genius! I will have to give that a try tomorrow morning before I head off to work. The flavors are my FAVORITES!! Definitely decreases my FOMO when I can’t get to Starbucks in the morning! These things are awesome and a great pick me up snack. I keep one in my bag whenever I’m going out. It’s like I’m always having my coffee. I’m so not a morning person either, so any excuse to eat chocolate in the morning to make getting up better is alright in my book. My mornings are always a big chaos. These little gems are very handy! I definitely wouldn’t think to crumble them up and put them on ice cream but I might have to try that now! It’s also made me think of using them instead of graham crackers for a cheesecake crust. Mmm. I think the caramel macchiato is my favorite flavor too – so delicious! !